Paris, 1922. Alastair (Hans Henning Voight). Original illustration in red and black ink and pencil on paper. 11 7/8 by 9 1/2 in. This drawing first appeared in Fifty Drawings by Alastair, published by Knopf in 1925, and a similar version was used in the Paris edition of Wilde's text published the same year. 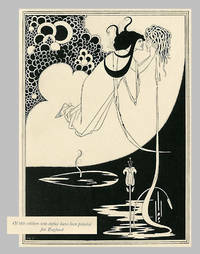 Beardsley's popularity and sudden death created opportunities for other artists of the Decadent movement, such as Alastair and Erté. This drawing exhibits the understated menace of Beardsley, but with an eye toward texture. The detail in Herod's elaborate robe, and the plant and vase to his left exhibit a distinctly Asian aesthetic. Some glue residue on verso, else a very fine drawing by one of the most popular book illustrators of the first half of the twentieth century. (Arwas: 26. Published in Fifty Drawings by Alastair). London & Boston: Elkin Mathews & John Lane / Copeland & Day, 1894. ,66,,15,pp. Small quarto (23 x 18 cm). Medium olive greenish brown silk over boards, with gilt decorations on upper and lower boards and spine lettered in gilt. Frontispiece, and 12 illustrations. Some tanning at gutters, boards toned, very slightly shaken, otherwise near fine in purple half morocco slipcase. 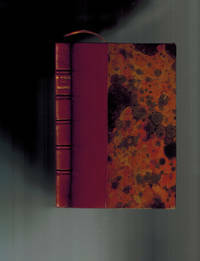 First edition in English, large paper issue. One of a total of 125 copies printed on large Japan vellum, in addition to the ordinary issue of 750 copies on wove paper. The translation from Wilde's French is by Alfred Douglas, although revised by Wilde and others. Beardsley's illustrations have elevated this work to an almost iconic status among the books of the 1890s. This issue on large, Japan vellum is quite uncommon. LASNER 59. MASON/MILLARD 351. GALLATIN, PP.46-9. NELSON, p.288. RAY, THE ILLUSTRATOR AND THE BOOK IN ENGLAND, 315. London: Elkin Mathews & John Lane,, 1894. A tragedy in one act, translated from the French. Pictured by Aubrey Beardsley. Octavo. Original blue canvas boards, spine lettered in gilt, decoration to front cover in gilt, top edge trimmed, others uncut, some pages unopened. Illustrated frontispiece with tissue guard and 9 plates. Spine and board edges toned, a little marking to covers, slight foxing to tissue guard, gauze strip visible in gutters of a couple of openings. A very good copy. First edition in English, first impression, one of 500 copies. 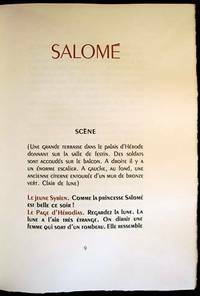 Salome was originally published in French in the preceding year and was translated into English by Lord Alfred Bruce Douglas. London: John Lane/The Bodley Head, 1907. 1st trade ed. 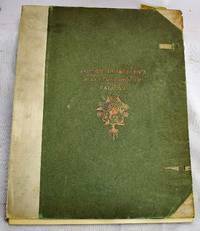 Light foxing, front and rear flies heavily darkened, o/w Near Fine in green blindstamped binding with gold gilt. Dust jacket is shelfworn, with several closed tears, missing 1.5 inches of spine at bottom, chip at top of spine. Rare thus. 17 Beardsley b/w illos. 1st Trade Ed. Hard Cover. Near Fine/Good. Illus. 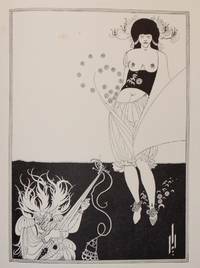 by Beardsley, Aubrey. Jan 01, 1999. Good. [EARLY AUBREY BEARDSLEY EDITION] Leipzig: Insel-Verlag, n.d. (ca 1930) Hardcover issued without dust jacket. Full title: Salome. Tragodie in einem Akt. Bound in block-printed paper-covered boards with paper title label on front. 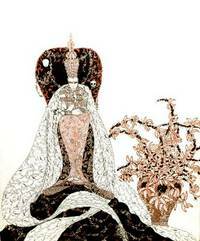 Illustrated with block-prints by Aubrey Beardsley. An x-library copy from an important institution with stamping and bookplate (owner's name scratched out). Spine starting, paper age-toned, else good overall condition. London: John Lane, 1912. Handsomely bound in period 3/4 Red Levant and Marbled Boards, gilt titles at spine, top edge gilt, ribbon marker, with 16 black and white plates by Aubrey Beardsley. 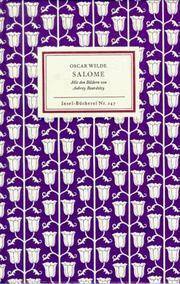 A Fine and quite lovely copy of this classic Oscar Wilde play. . First EditionThus. 3/4 Levant and Marbled Boards. Fine. Illus. by Aubrey Beardsley . 12mo - over 6¾" - 7¾" tall. London: The Limited Editions Club, 1938. 2 volumes. Hardcover cloth volume in English with illustrations by Aubrey Beardsley. 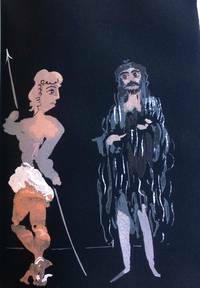 Wraps copy in French with illustrations done in gouache on black paper by Andre Derain, signed by Derain. This edition limited to 1500 numbered copies, this being no. 1331. Glassine jackets present, one with a tear in the spine. Very good copies in a slightly edgeworn slipcase. Includes the monthly newsletter and card.. Signed by the Illustrator. Very Good. 4to. London, John Lane, The Bodley Head, 1906. Hardcover. Acceptable. Folio. Complete with all 17 plates. First issue, without list of plates and plates unnumbered (according to Lasner). Publisher's 3/4 parchment backed green boards. Soiling to boards. Ties lacking. Bookplate of John Henry Townsend. Printed on Japanese vellum. Dampstaining to boards and plates. Ruffling to plates. A few plates are browned. "Only 13 of the 16 illustrations Beardsley designed for Salome were printed in John Lane's 1894 edition; 'John and Salome,' 'Salome on the Settle' and the first version of 'The Toilette of Salome'' were excluded" (Latham, ed., Haunted Texts, 194n). This edition includes three plates not present in the 1894 edition. Lasner 59E. London: John Lane The Bodley Head, 1907 The first edition publishing the full suite of sixteen Beardsley illustrations. Introduction by Robert Ross. The gilt embossed front board is clean and bright except for a little fading to the leading edge. The rear board has some patchy lightening to the first 5cm in from the leading edge. Ownership signature and remains of removed ex-libris inside from board. Rare in any condition. Oscar Fingal O'Flahertie Wills Wilde (16 October 1854 - 30 November 1900) was an Irish writer and poet. After writing in different forms throughout the 1880s, he became one of London's most popular playwrights in the early 1890s. Today he is remembered for his epigrams, his novel The Picture of Dorian Gray, his plays, and the circumstances of his imprisonment and early death.. First Thus. Hardcover. Good/No Jacket, as Issued. Illus. by Aubrey Beardsley. 8vo - over 7¾" - 9¾" tall. London: Limited Editions Club, 1938. Hardcover. Some typical wrinkling to the covers and pages of the wrappers volume, but with none of the internal foxing often found in this volume, only some mild offsetting to the text from the plates. Sunning to the spine of the hardcover volume. Near Fine in glassine remnants and a Good slipcase with a split at the top edge. Andre Derain and Aubrey Beardsley. Two quarto volumes (8" x 11"), copy #459 of 1500 numbered copies. The first volume in black wrappers is the French original illustrated by Andre Derain with gouache drawings on black paper reproduced through the pochoir process and SIGNED by the artist on the colophon page. 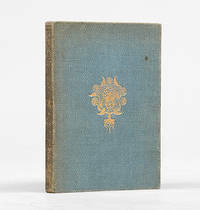 The other volume, in gilt-decorated cloth, is the English translation by Lord Alfred Douglas with illustrations from the first edition by Aubrey Beardsley including four omitted from the original. San Francisco: J. A. Ephraim, 1896. Book. Fair. Hardcover. Possibly the rarest of the Salome variants, 12mo, leather covers by Charles Scribners, front cover detached, original ten Aubrey Beardsley plates + another providing the list. Ephraim was a bookseller and publisher although data on him is impossible to find. 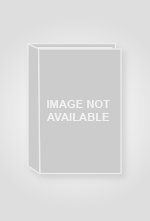 There appears to be no title page and whether this was lost or simply never created cannot be deduced. F/o was Henry W. Poor (with his emblem seal on one page), renowned banker-bibliophile with very expensive tastes, creator of Standard and Poor's manual for evaluating stocks. Went broke on investments in 1908 and much of his library was sold to pay creditors. A few edges are a bit rough, needs rebinding but this is a precious add-on for any Wilde collector. Not found in the usual Wilde bibliographies at the NYPL..
Limited Editions Club, New York, 1938. First Edition. Fine Condition/No Dust Jacket. OSCAR WILDE. 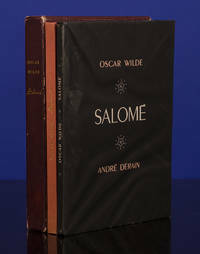 Salome in 2 volumes, slipcased, New York: Limited Editions Club, 1938. Copies No. 413 of an edition of 1,500. 1. French version, pp. 71, 1 (limitation page), wraps under acetate covers, illustrations by Andre Derain printed using the pochoir process, signed by Derain on the limitation page. 2. English version, pp. 106, 1 (limitation page), red cloth boards with gilt lettering to spine, gilt lettering and illustration to front, illustrated by Aubrey Beardsley. Some leaves unopened. These are the Beardsley illustrations from the first edition, plus 4 that were omitted from the first. LEC Quarto-Millenary Ninth Series, No. 104, quoting George Macy: "The illustrations which Andre Derain made for the French volume ... are the gayest and most delightful illustrations ever made for a book. This is not my dictum; I am quoting Frank Crowninshield." London: Melmoth & Co., 1904. Original blue cloth with gilt spine lettering and beveled boards. Spine is sunned as are edges of boards, spine ends worn with some loss of material, joints are split but well repaired. Corners are bumped and have loss of cloth. No 12 of 50 copies on Japanese vellum. Translated from the French 1894 edition ostensibly by Lord Alfred Douglas. Date at foot of spine 1905. 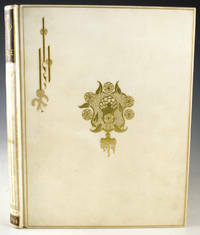 16 pictures by Beardsley including cover design and title page. Plates are not in the order listed; in this copy pencil annotations in margin of printed list of plates give the correct order. Book dealer ticket on front pastedown. Owner bookplate on ffep with signature. Taped to ffep is caricature of Wilde and clipped Fr. catalogue listing for this title.. Limited/Numbered. Cloth. Fair/No Jacket. Illus. by Aubrey Beardsley. 8vo - over 7¾" - 9¾" tall. Trade. London, United Kingdom: John Lane, The Bodley Head, 1920. Slim 4to. No DJ. Scarce. Bright red cloth boards with gilt lettering along spine and fornt cover, ornate gilt floral design on front cover. Includes 16 full-page b&w illustrations by Aubrey Beardsley. Includes the suppressed title page. Date in roman numerals on title page: 1920. Includes two casting lists, one for the operatic version by Richard Strauss, and one for the performance in England for the first time. Minor shelfwear: light rubbing along cover edges, moderate spine fade, light tanning and some light foxing along page edges. Volume is tightly bound, no marks. Volume is in Near Fine condition.. Hard Cover. Near Fine. Illus. by Beardsley, Aubrey. Boston: John W. Luce, 1906. BEARDSLEY, Aubrey, illus.. 8vo, pp. 36. Gray paper over boards, lettered and stamped in green with an illustration by Aubrey Beardsley. Cover slightly worn at corners and ends of spine, o/w a VG tight copy. Scarce. Samuels-Lasner 59G. [not in Mason, who does list the 1906 printing by the John Lane Company, and preceded in America only by the 1894 Copeland & Day limited edition]. 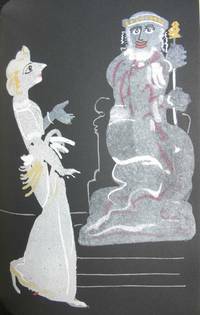 Salomé: a tragedy in one act, translated from the French of Oscar Wilde, with sixteen drawings by Aubrey Beardsley. Wilde, Oscar; Aubrey Beardsley, illus.